I wasted WAY to much time on this absolutely poor product validation problem. I have an old Asus P8P67 motherboard that I suspected had a bug with it’s RAID controller hardware/firmware. I would nightly put the machine into sleep mode, but when I’d wake the machine from sleep the next day the hard drives would start reset clicking and timing out madly. It was so bad, you’d get 2-5 second delays just trying to access a file. But if you rebooted, even a warm reboot, the drive would stop its schizophrenic timing out and run smoothly. Further, it was always the third drive in the raid, even though I’d hot swapped the drive several times and the drives would be flawless when not in the RAID set. Fortuitously, Fry’s had a sale on the new P8Z77-V Pro motherboards. However, when I installed the motherboard, I had a different problem. The machine started up first try without a problem, and I set the SATA mode to RAID so I would get the ‘Press <CTRL-I>to enter configuration utility…’ BIOS message and set up the hardware RAID. The funny thing was, the message would pop up and I’d frantically press CTRL-I, but to no avail. It was like it was ignoring me. I tried turning on USB legacy mode and other USB settings and noticed strange things with the keyboard lights not always coming on/etc. So, what do I do? In searching forums, I found that other people were having even worse problems. Some couldn’t even enter the UEFI BIOS setup at all. When I got my machine to boot into windows, they keyboards didn’t work at all. I try plugging in another USB keyboard. I have a Logitech G15 and a no-name generic one. Initially, no luck, but I do notice the behavior of the keyboard change. I would toggling the scroll/caps/num locks during BIOS setup and sometimes the I can see both keyboards toggle the light correctly, and other times do not. I try all the different USB ports. The rear, onboard ones fared the worst. They never worked for the RAID BIOS. Even in windows, the keyboard and mouse would sometimes not work at all depending on which port I had them plugged into. The ones on back that seemed to work best? The top usb port above the green outlined USB flashback port. Still, I cannot enter RAID setup, but windows sees my USB device correctly at startup. Now, I leave one keyboard plugged into that top port, and then start playing with the headers on the motherboard. I take the USB backplane extender and start plugging it into the headers on the board. You know what? Each one acts differently! However, when I have it plugged into the front-most plug, the one closest the reset/power switches – THEN IT WORKS! You can then press CTRL-I and it registers. Strangely enough, once you get the machine booted, then all the USB ports work perfectly. But not while you’re in POST. All I have to say is HFS – this is BUSTED ASUS. I’ll be sending in a trouble ticket this afternoon. Please let me know if this works for you. Punkbuster kicking you off in BF3/Battlefield 3? Punkbuster isn’t getting updated automatically. There are HTML ‘key’ files that need to be installed and updated regularly. You need to select 7 different links and save them in the correct folders. The first is: pbsec.htm, it goes in C:\Program Files (x86)\Origin Games\Battlefield 3\. Be careful! When I first saved it from the link, it saved it as pbsec-1.html – that doesn’t work. pbsvc.exe is missing(!). One post mentioned that you could manually run C:\Program Files (x86)\Origin Games\Battlefield 3\pbsvc.exe and it would test everything for you. I actually found this file was missing. However, a copy of it was there in C:\Program Files (x86)\Origin Games\Battlefield 3\__Installer\punkbuster\redist\pbsvc.exe. I copied it to the root BF3 directory and then everything worked. Thanks again Origin for really making PC gaming a viable environment and reminding me why consoles have eaten half your gaming lunch. 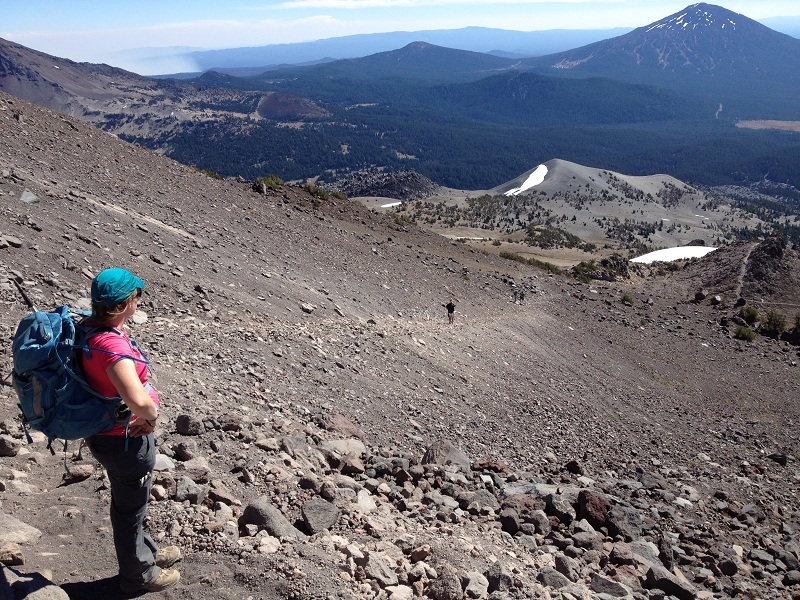 This last weekend I had a great opportunity to climb South Sister with some friends. 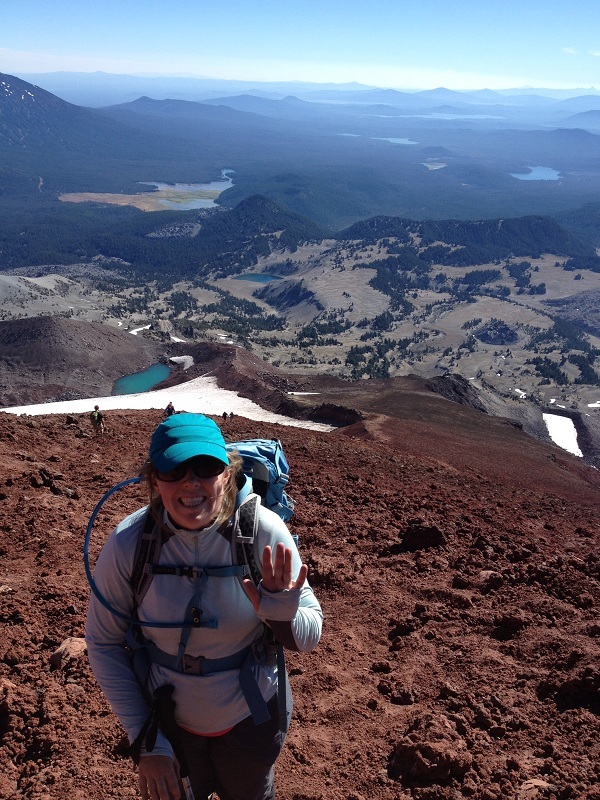 South Sister is the third tallest peak in Oregon at 10,358ft and has some notable trivia. It the the youngest and tallest of the three volcanoes in the three sisters collection of mountains in central Oregon. 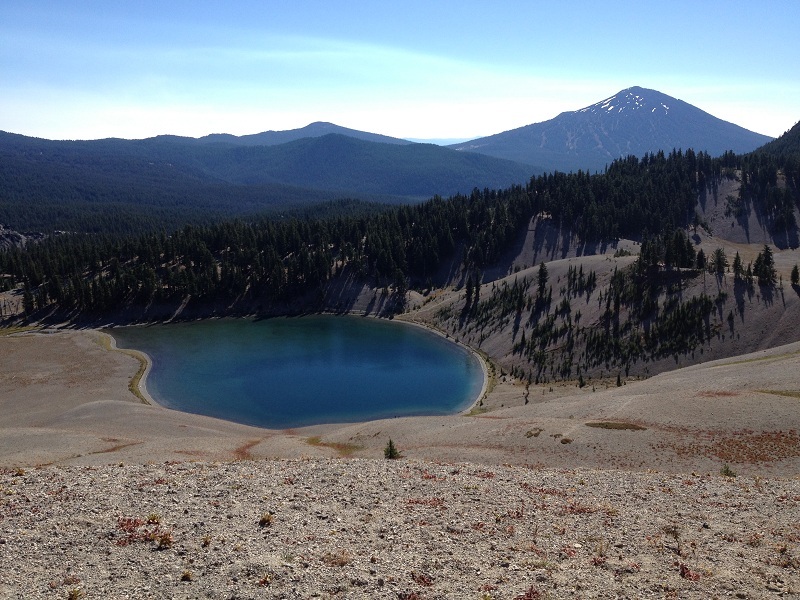 Teardrop Pool at the summit is the highest lake in Oregon. 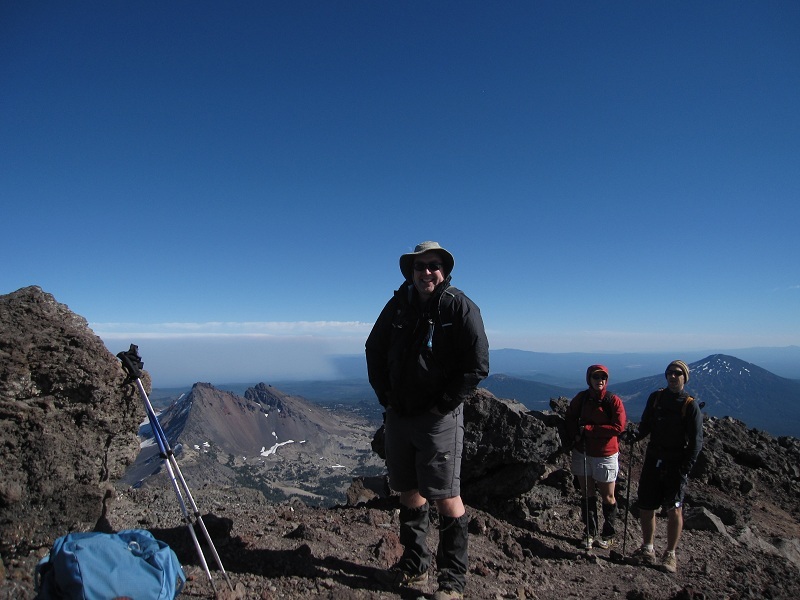 The mountain also hosts Prouty Glacier, which is the largest glacier in Oregon. We decided to take the standard route from Devil’s Lake to the summit. Situated at 5,440ft, it’s a beautiful blue-green emerald to start from. We started out across a small open meadow, then start the steady 1.5 mile hike up between Devil’s Hill and Kaleetan Butte. You get no views during that part, until you open into a beautiful alpine meadow where you get your first amazing view of South Sister and Moraine Lake. 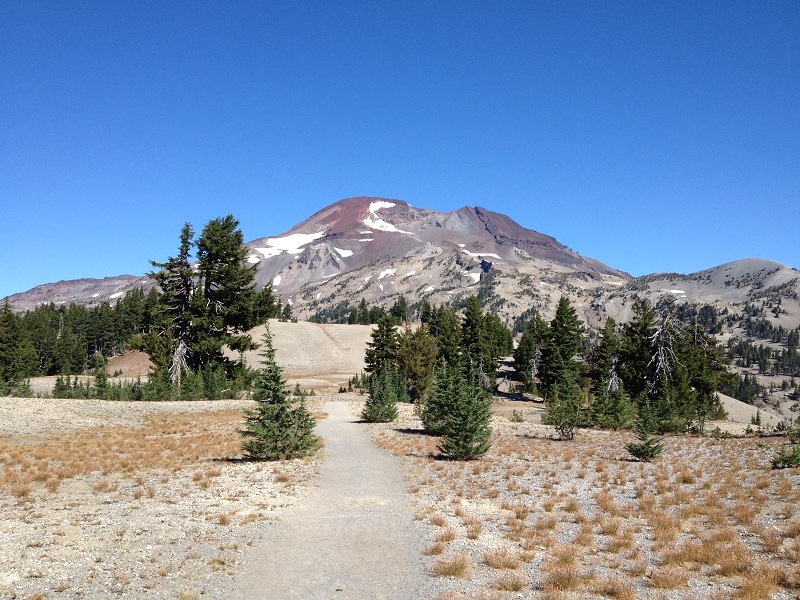 We cross the mile or so of the steadily climbing meadow until we hit the mountain proper and start the real ascent. I’s a dusty and steep climb. There was a little trail finding needed as there are lots of little paths criss-crossing their way up. Reaching 8,900ft, we reach the base of Lewis glacier and get a good view of the last push. 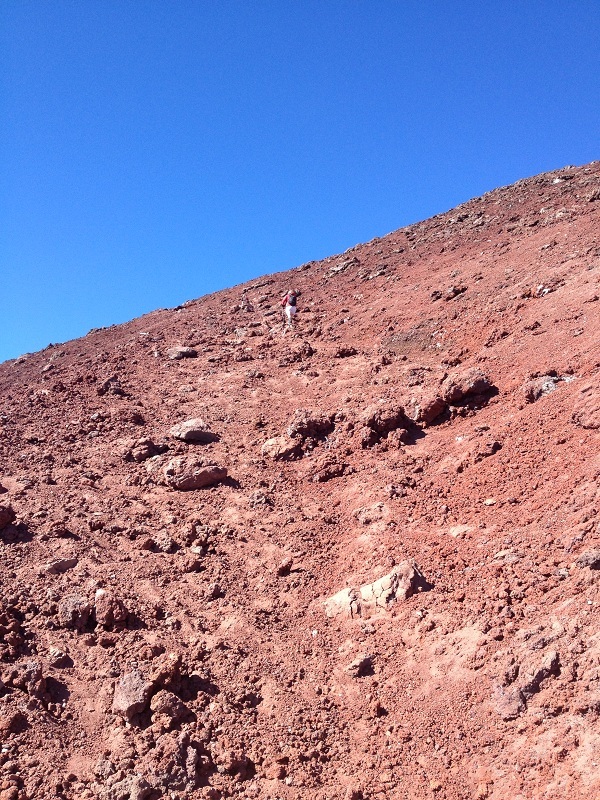 From here, the rock turns to red, dusty, and chunky pumice. It’s quite a slog at this point as there are lots of little criss-crossing routes up through the crumbly rock. A set of poles here is a godsend for footing. Then, you reach the summit ridge! Here you can see Teardrop Pool. I stopped to wash off my hands, and it was just as cold as you might expect. 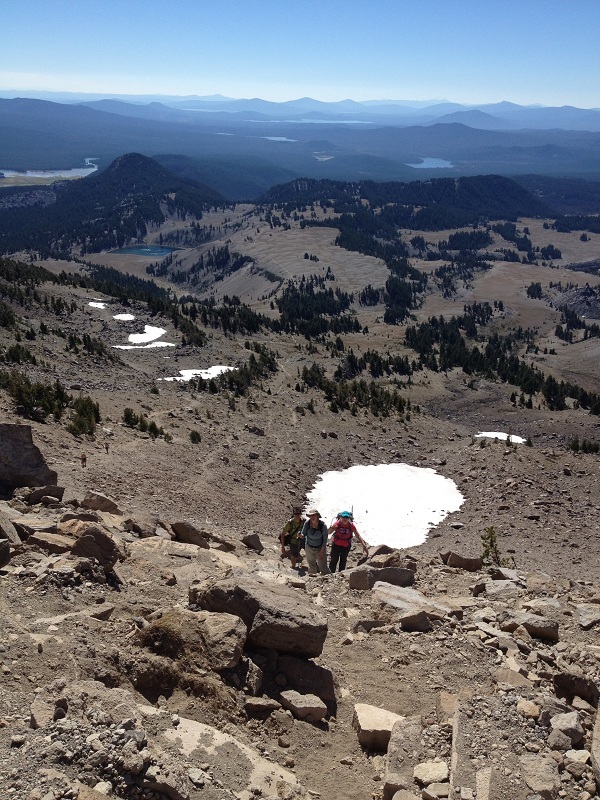 You still need to walk from the south end of the rim to the north end to reach the true summit. As you make your way around, you’ll see piles of rocks and small forts that look like people have set up small bivouacs against the winds. 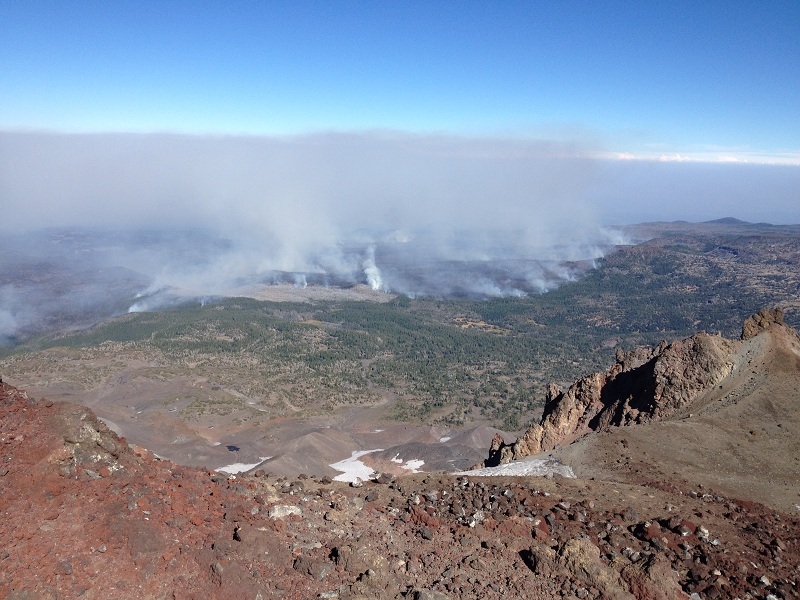 From the summit on the north side, we got a great view of the fires burning near Sisters. 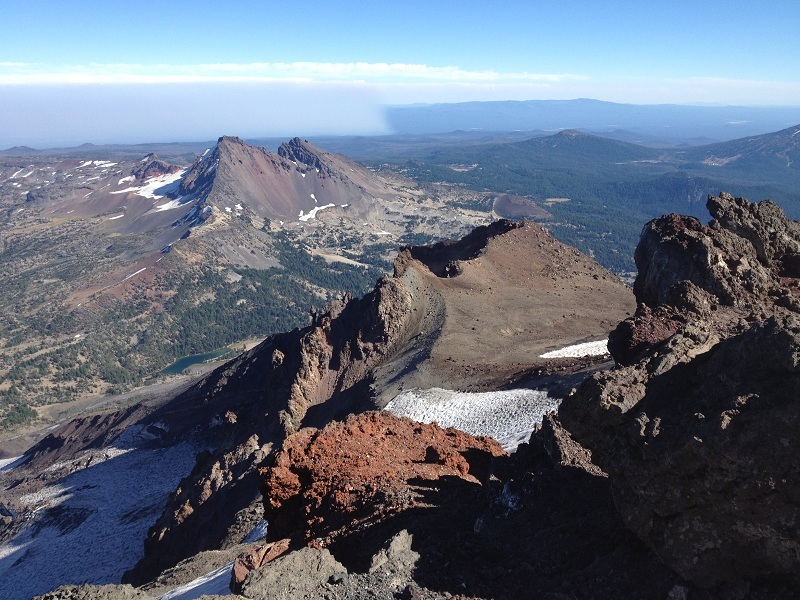 You can also get a fantastic view of Broken top Mountain to the east. So, overall, it was a great climb. Took us about 8 hours or so if I remember right. Not the fastest ascent, but I had done almost NO exercising or hiking for about a month and half before doing this climb. So in reality, I think I didn’t do such a bad job overall. I think I’ll certainly do this climb again. I also recommend it for anyone looking for a good conditioning climb that wants to test their fitness without having to do a lot of technical work. After getting a bit tired of a string of Bond novels, I switched over to a series I’ve been interested in for some time. The Conan Series. For the un-initiated, there is a little history behind the Conan series. While written by Robert Howard (1906-1936) in the early half of the 1900’s, most of his current novels as we have them today come from editors that collected and cleaned up his works that were original published in magazines and from notes. The canonical editor for his work has more or less come to be L. Sprague de Camp. This book is no different; and contains some of Conan’s (argueably) best stories. The first story is considered one of the best, and is titled Red Nails. It starts with the battle-hardened Valeria of the Red Brotherhood escaping the clutches of a nearby city in which she killed one of the chiefs who made unwanted advances. She heads out into the unknown wilderness where she is found by Conan – who is tracking her down like a love-lorn puppy. After some clever boasting, swaggering, and a little bit of threatening on both sides, they get distracted and cornered by a dragon. In their escape, the spot a strange city hereto unknown to the outside world. As they enter the city, they meet the strange inhabitants who have split into two camps and have been fighting a clan war for decades. Valeria and Conan get embroiled in the fighting and the story takes many twists and turns as the truth behind the mysterious city, the clan leader that never grows old, and a missing wizard become clear. It’s a great story – full of magic and no shortage of carnage. The second story is the Jewels of Gwahlur. Conan is trying to track down the mythical and fabulous Teeth of Gwahlur from their hiding place in a mystic castle inhabited by an oracle. He is in a race against the clock as the nearby town has sent a party of cultists to track them down as well. Inside, they encounter the oracle (who is very different than they expect! ), as well as the true guardians of the Teeth. Another fabulous hack and slash as well as a great twisting and turning story. The third story, Beyond the Black River, differes from the first two in that Conan is attempting to save a group of settlers and an outpost from a growing horde of attackers lead by an evil and mysterious dark lord. The expedition into the frontier to track them down turns into a slaughter of Conan’s men, and they engage in a running battle back to the fort. Conan turns to fight the dark creature and a fantastic final battle ensues. The back and forth banter between Conan and the evil leader is priceless and really shows the fearlessness and cunning wit of Conan. Overall, it’s a great collection. I found myself surprised again and again by Howard’s originality and cleverness. You rarely can guess what’s coming next, which keeps the story engrossing to the end. The worlds he paints are equally fantastic. They absolutely explode with imagination and originality. While not for everyone’s palette in style, I give this a solid A and recommend to anyone who enjoys high adventure and great warrior characters. Continuing my slightly out-of-order journey through Ian Fleming’s Bond novels, I just completed Thunderball. Thunderball is a pretty pivotal book in the literary Bond series because of its introduction of SPECTRE and Ernest Stavro Blofeld. Like many of the early Bond movies, the movie version of this book is very close to the book version. The book starts comically enough with Bond being sent by M (who is on a health-kick) to Shrublands – an all-natural health spa. Apparently there is a good in-story on this. Fleming had been accused by critics that his books were too immoral. The whole Shrublands portion is comically lampooned by Fleming – and later in the book makes a big point of pointing out that Blofeld doesn’t smoke, doesn’t drink, rarely eats and is apparently a virgin. Take that do-gooders! Being ‘healthy’ will just make you frustrated and a sexless evil villain! Anyway, while at Shrublands, Bond unwittingly has a run-in with a SPECTRE member while trying everything to avoid the rigors of the food and health treatments. Upon returning to duty, it is learned that SPECTRE has stolen two nuclear weapons via hijacking a training flight and landing it in the waters of the Bahamas. Bond is sent on a hunch to check out the possible Shrublands guest which leads him to the Bahamas. While there, Bond pairs up with Felix and learns of a ‘treasure hunting’ expedition that has all the right equipment for the kind of recovery operations that an operation like SPECTRE’s might need. Further suspicions are aroused by their overly-squeaky clean crew and sailors headed by Emilio Largo. While keeping up the public treasure-hunting facade, Largo is actually SPECTRE’s #2, and in charge of the recovery and delivery of the nuclear devices to their targets. In the process of investigating, Bond meets Largo’s mistress Domino who actually snubs Bond’s first advances. We meet the ruthless SPECTRE organization that kills it’s own dissenting members and get to see Bond at his trademark card-table antics when he takes a pile of money from Largo while sizing him up. The story rises to a head as the clock ticks down and they chase Largo’s boat to the target and get into one big underwater battle with everything at stake. It’s non-stop action, sinister characters, and Fleming’s usual vivid descriptions that make this a great read. While there are far too many lucky coincidences that lead Bond down the right track, this is still a great (and a little terrifying) story. Despite it’s grandiose plot and characters, it is handled very believably. Honestly, many people have claimed that such a hijacking/nuclear threat was, and still is, just a matter of time. While today it is more likely someone would get their hands on such a device from the fallen Soviet Union, or from a middle-east country, the threat is still very real today. Even if the device stolen were fairly small yield – it would be more than enough to destroy the heart of most US cities and leave countless dead and irradiated. It’s a terrifying and real threat in our world even today. Overall, I think this book steals the top prize from my other top pick of the series – Moonraker. The writing by this point in Fleming’s career has gotten the kinks worked out, and the characters are very palpable, unique, and much more believable. I give this a solid A and a highly recommend rating for anyone that just wants to pick one or two of the original Bond series to read. Ah, now on to Ian Flemming’s Bond book 4 – Diamonds are Forever. This book is only about 50/50 the same as the movie. Bond is trying to track down a diamond smuggling ring this time. He starts by slipping into the Spang mob’s supply chain by kidnapping and replacing one of their diamond couriers. He meets the lovely Tiffany Case who is his mob ‘boss’ and they smuggle some of the stolen African diamonds into the US. Bond tries to track through the hierarchy of the mob and get his hands on the mysterious Spang Brothers. In the process, he goes to some horse racing, journeys to Vegas where he mixes it up with the Spang mob, and then has one final adventure on his trip back to England on the Queen Elizabeth. While the adventure is grand in concept, this book falls far short of most of Fleming’s other novels. It’s a bit schizophrenic in it’s plot lines with a few too many villains. Also, the job itself of tracking down the diamonds is more like police work instead of the high government intrigue we’re used too. His smuggling of the diamonds with Tiffany case is a good bit of writing, but it falls apart again when he goes for some horse racing in which the delightfully evil, well-done, but far underutilized mob couple Kidd and Wint dump hot mud on the jockey that Bond bribed to toss a horse race in order to tease out the mob. Bond adventures to Vegas, and decides to stir up the mob by ‘stealing’ money from the mob casino which is set up to pay our Bond’s smuggling pay via a rigged card game that Tiffany deals for him. This starts the mob after him and eventually gets him captured. He’s dragged out to the Spang estate – which is a somewhat ridiculous western-era town recreation. Here we see Bond run completely out of ideas, and take a clean beating from Kidd and Wint. It’s only by the action of Tiffany that he’s saved, and a train race ensues. This whole plot line is weak and a bit schizophrenic. Knowing what we do of mobsters, we’re wondering why they don’t just off bond with a few bullets and be done with it? Why do these gangsters treat Bond with any respect or concern? The height of hubris is when Bond, finally captured after killing at least half a dozen of Spang’s men, asks the Spang brother to make him a drink before he talks – and he DOES it. In every story of mobsters I know they would have beaten him senseless and chopped off a finger for even opening his mouth. To me, if feels very much like a very British Flemming trying to write about American gangsters from just what little scraps of info would have drifted back across the ocean of his time. He doesn’t seem to really get mob behavior, and still tinges it with a bit of British culture. Alas, Flemming pretty much flubs the whole track of the Spang brothers. They make some amazing blunders for supposedly being so careful – and it just didn’t feel like Flemming knew what he was going to do with these characters. It’s almost like he set it in motion, realized he was running out of space, and just ends the thread. Badly. It’s no surprise they never make it to any of the movie editions. There’s so little of them present, and what there is is so schizophrenic, that there’s little to even grab hold of. Probably the worst Bond villains in the books I’ve read to date. The love interest with Tiffany is as equally disappointing. She’s certainly an interesting character, but for being such a tough character, she just sorts of falls in love with Bond for little to no reason. The final adventure they have on the cruise back to England also feels rushed and somewhat hollow and unbelievable.